We understand traveling with children can be sometimes challenging when you’re trying to keep the whole family happy. 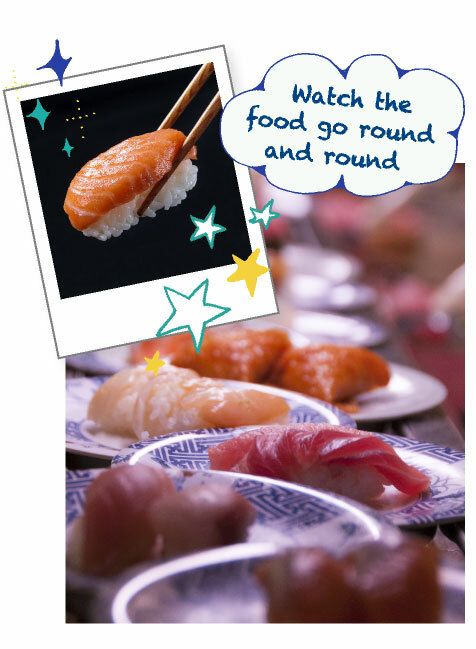 While all children might not find temples and shrines entertaining, Kyoto is a family-friendly city and we’re here to introduce a number of places you can visit to entertain the younger members of your group while still allowing adults to enjoy themselves too. Animals are always a good way to entertain the little ones. On top of Mt. Iwata in Arashiyama there is a park filled with monkeys. The Arashiyama Monkey Park is situated near the Togetsukyō Bridge and is about a 20 minute hike up the mountain- perfect for exercising those legs. 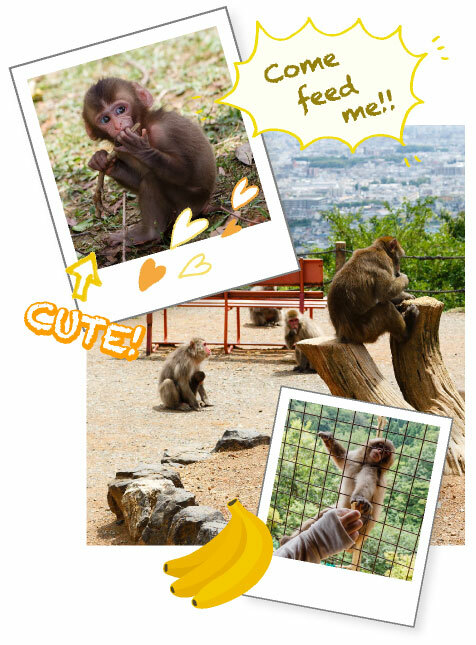 Home to over 100 Japanese Macaque monkeys, visitors are able to feed the monkeys themselves by hand, and also witness a very entertaining feeding time. 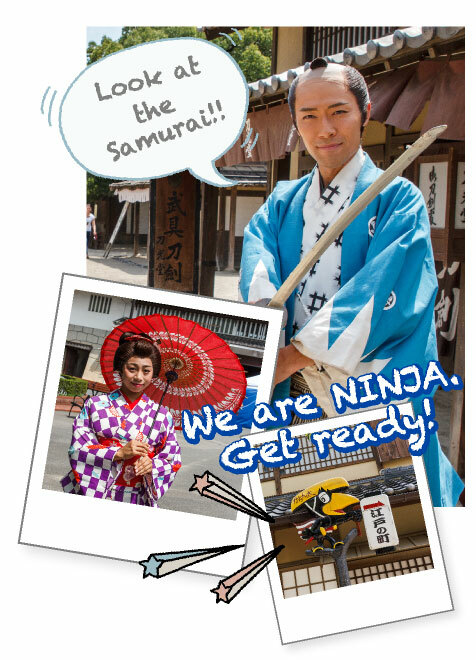 With samurai, ninja, and beautiful ladies dressed in Edo period kimono, Toei Eigamura is an Edo period theme park where you can watch the filming of samurai dramas, dress up in period outfits, test out your ninja skills, and even get your heart racing in a haunted house. Park hours change throughout the year. This extraordinary show featuring four Roboroids and a Doll in an abandoned toy factory is performed entirely without words! With each Roboroid having their own specialty: miming, breakdancing, magic tricks, and juggling, as well as hypnotic lighting, atmospheric sound effects, and the overall steampunk-style setting, this is a type of entertainment that everybody can enjoy, bound to become an unforgettable experience. Unlike some other venues, Gear Theater admits young children from the age of 4, and every first and third Saturday of the month is Kids Day, when all children regardless of age are welcome to enjoy the matinee performance. 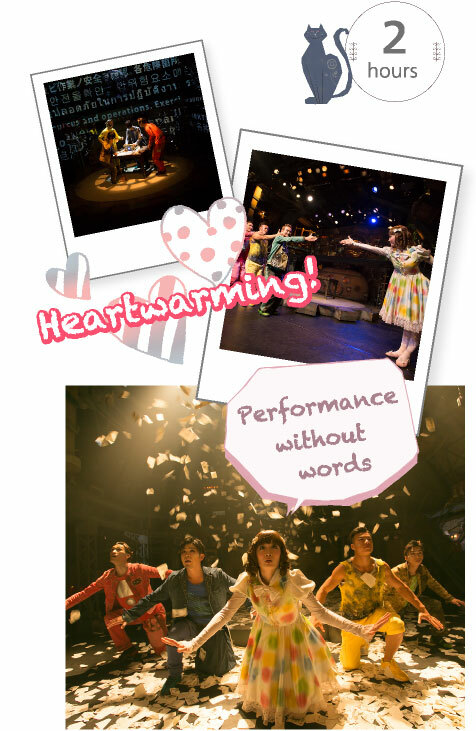 Please check the official website for performance dates, schedule, and ticket prices.